A warm warm welcome from Italy as well! GrùB Gott und herzlich willkommen am Forum!!! I like also Austrian minerals, more than once I have been in Schwaz in Tirol, in Habachtal and in Zillertal. Once I was in Hartberg, close to Burgenland, in order to visit the serpentine mines. Thank you all for this very nice welcome! I will you show some specimens from this classical locations. Please have some patience. I'm a freelancer and the summertime is very hard to me. At the moment, my profession do not allow using much time for my obsession. We are living on the matrix. Hello to all my friends in this great forum, my name is Williams and I am mining city of Zacatecas, Mexico. I've been a follower of the forum in Spanish, but I would also like to present the pieces of my collection in this forum, most of the pieces I have collected myself in my work, hope you like them. I wish you a very warm welcome to The Forum, Williams. A warm warm welcome from the other part of the Atlantic as well, i.e. from Italy!!! I know Zacatecas is a very interesting land for minerals and gemstones. Your photos are always welcome!!! I just joined the forum and wanted to introduce myself. My name is Eugenio (Geno) and am a native of Puerto Rico (one grandmother from Barcelona). 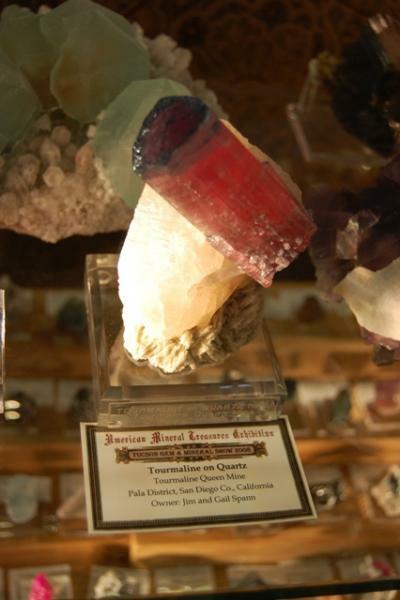 I live in San Francisco, California, and I just joined the SF Gem and Mineral Society. I am biologist by training and work in the global health field. 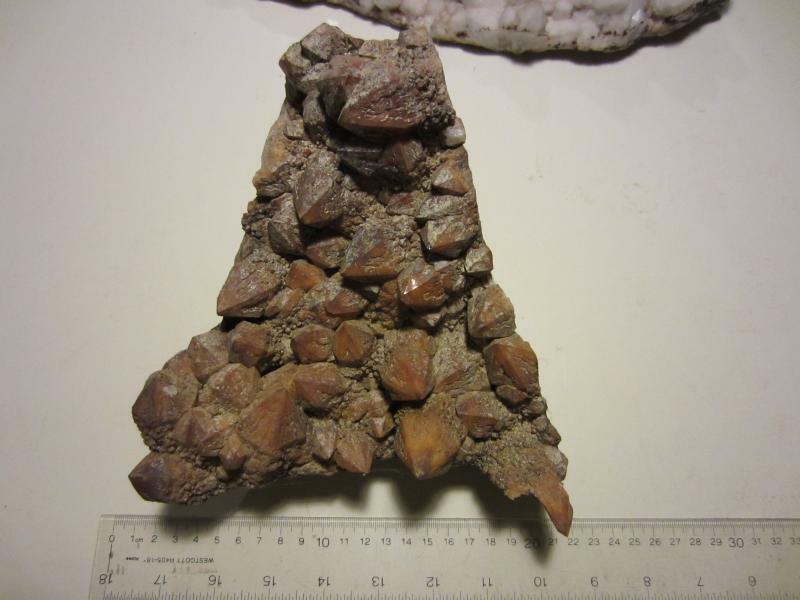 I have been collecting rock and fossils since I was a child but have neglected my collection for years. I am hoping to re-catalog all my specimens so expect many request to help me identify them! I will adhere to your high standards for ID requests. Many thanks for this terrific forum. welcome to this great forum and we are looking forward to see some of your specimens! Hi Geno! A warm warm welcome from Italy as well! Puerto Rico is fully unknown to me, especially from a mineralogical point of view, but it should also be very interesting! Hello Geno -- Jesse Fisher and I are in San Francisco as well. Welcome to the Forum. My name is Leon Hupperichs, i am 46 years old and live in a small town in the most southern part of the Netherlands. I am a new member here but as a active mindat-member many will know my photo's already. I started collecting minerals in 1991 and my main collecting focus is on German classics and British fluorites. Hope i can bring some nice new pictures in the FMF. A warm warm welcome from Italy as well! Recently I was in the Netherlands, participating to a gemmological symposium in Leiden! Then I cycled throughout your country more than once! From what you wrote you live close to Maastricht, don't you? I know well that part too, including the "Drielandepunkt" between Wolfhaag, Aachen and Kelmis! Yes my home town is close to Maastricht but even closer to Aachen (Germany) and the Drielandenpunt, just a 10 minute drive. A very nice region for cycling. My name is Danny and I'm in Los Angeles, CA (as my signature will tell you). I am desperately in love with photographing inclusions through the scope. I am a "gemologist" and work in the estate side of the business. I'm sorry I didn't find this site sooner but here I am and I'm glad to be here. I do collect minerals but my collection is small. Mostly, my collection consists of cut stones that no one else wants because they're too included! ps - I also frequent gemologyonline with the same handle. Welcome to The Forum, Danny. Hi Danny! A warm warm welcome from Italy as well! I'm in Gemology On Line and usually participate to discussions. So it's interesting to exchange some words about our discipline! Have fun sharing with us. Hello to all. I am Mark Randle, presently residing in Alexander County, NC. Having perused the forum I see that I already know several folks here from collecting adventures or from shows. I have been intrigued with minerals since a child and have only become more so over the years. Decided to "get serious" about it around the turn of the century, having mostly collected on my own until then. Prospecting and field collecting are my passions with most of it done in the SE US because of proximity (plus we have some great minerals!). Presently working hard in the Hiddenite area chasing the elusive chromium chromophored beryl, i.e. emerald, and its friends. Welcome to The Forum, Mark. I think that you are fortunate to live in such a mineral-rich part of America. Hi guys, I'm Patrick, from Tulsa OK. I'm a student at Tulsa Community College, studying for a degree in geology. Not sure where i'm going to transfer to but i'm not liking the local options so far...Oklahoma State University and University of Tulsa both have great programs, but one is an hour drive away, and the other.....well I would have to sell my first born....and maybe my second. Things there in Tulsa are not great for rock hunting but there are a few areas of interest in Oklahoma. There are enough fossils here to drive a guy nuts, my 4 year old son even gets fed up with finding them some times. Last time I had him out with me he picked up a rock, and said "is this one? I said it was, he groaned, very dramatically and tossed it aside.